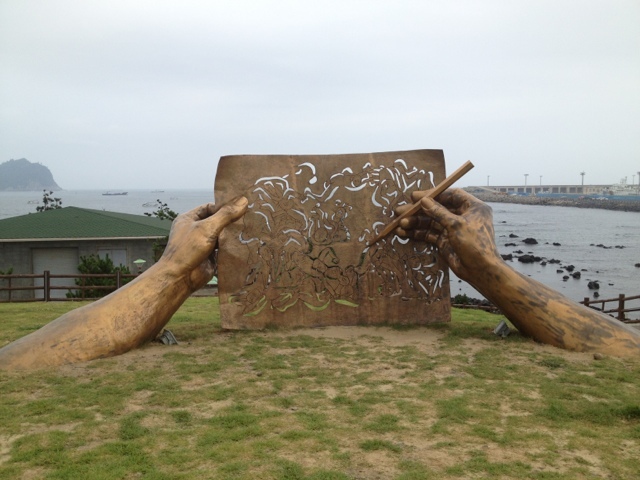 R and I spent our full day relaxing and wandering around the southern city of Seogwipo. We ate a leisurely breakfast of barley rice bibimbap and topped it off with some coffee at a nearby cafe. 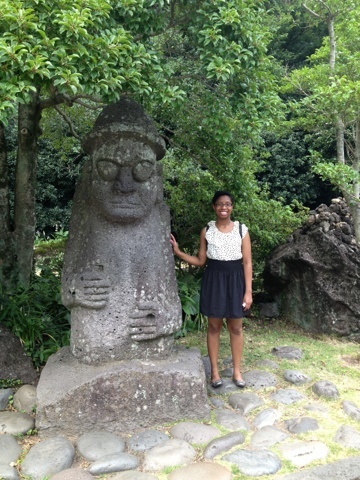 With one of those cool Halubang [Grandfather] statues. 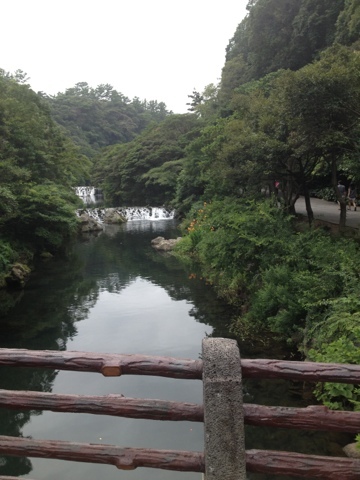 Meaning "God's pond," Cheonjiyeon Falls lives up to its name. Despite the massive complex of convenience stores and gift shops at its entrance, the falls is indeed a beautiful, natural work of art. 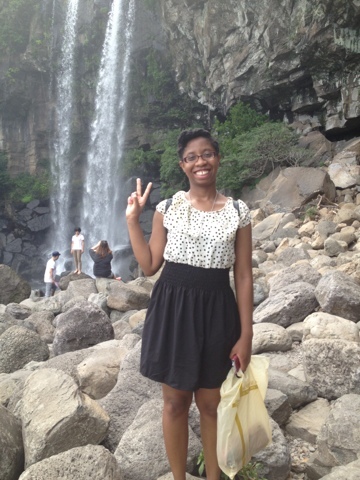 The greenery and the falls looks like paradise. Even all of the tour groups milling about couldn't spoil the intimacy and beauty of the Falls. 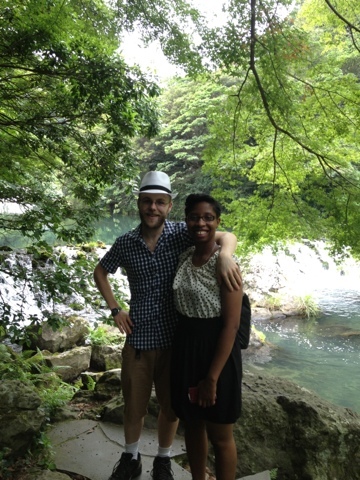 While en route to Jeongbang Falls, we took a rest in one of the mini parks in Seogwipo. I couldn't pass up a picture with an island in the background. 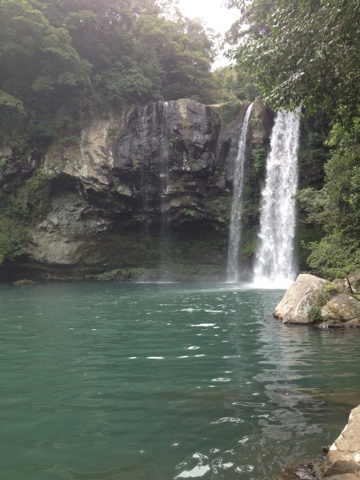 We walked nearly 2km from one waterfall to another and it was well worth it. 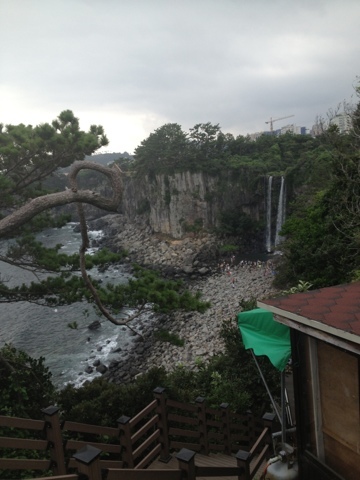 This waterfall empties into the Pacific Ocean. 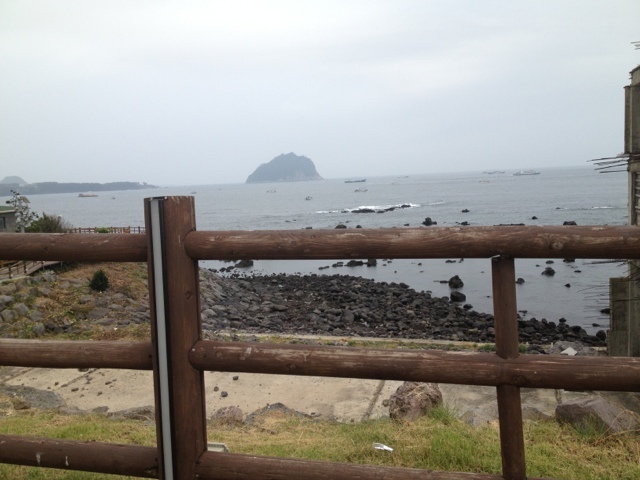 Check out the rocky shore and the pristine shoreline. The "Reflections" post will come out later...all in all, a hell of a good time.